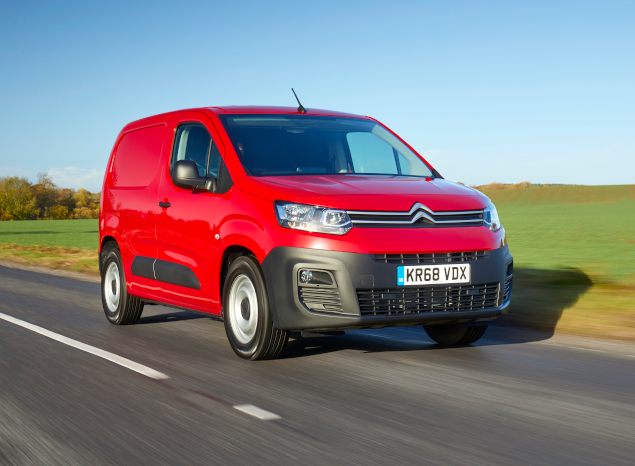 Citroën’s new Berlingo Van, which launched last September, has proved an instant hit with industry specialists by winning a number of awards. Since its UK launch, it has scooped the ‘2019 International Van of the Year’ award at the IAA Hanover CV Show, both ‘Light Commercial Vehicle of the Year’ and ‘Light Van of the Year’ at the 2019 What Van? Awards and the ‘Small Van of the Year’ award, presented by Company Car and Van magazine. Most recently, it was also crowned ‘Best Small Trades Van’ in The Business Van Awards 2019. As well as being recognised for its exceptional space and practicality, New Berlingo Van has frequently been commended for its style, increased comfort, advanced features, cutting-edge technologies and low fuel consumption. Citroën’s third-generation Berlingo Van, boasts a range of new driver assistance systems and connectivity technologies. In line with the brand’s commercial vehicle signature, ‘Inspired by Pro’, the New Berlingo Van provides solutions adapted to a variety of uses, with customised on-board comfort. X: Standard equipment includes a nearside sliding door, full bulkhead, automatic headlights, Hill Start Assist, Citroën Connect Box with Emergency & Assistance system, and DAB radio with hands-free Bluetooth® functionality. The X is perfect for drivers who like their vehicle to do the thinking for them, so they can focus on getting from A to B in maximum comfort. Worker: In addition to the specification of the X trim, and unique to Worker, this version comes with Overload Indicator, Grip Control® with Hill Descent Assist, Michelin Latitude Mud & Snow tyres, increased ground clearance of +30mm, and underbody protection as standard. The Worker ideal van for builders who need a vehicle that can handle rough, building site terrain. Enterprise: This trim also builds on the X specification, adding air conditioning, rear parking sensors, 8-inch colour touchscreen, Android Auto, Apple Car Play™ and MirrorLink®, plus an automatic electronic parking brake, the EXTENSO® modular folding seat, and front fog lights with cornering function. For drivers that need a van that can tackle more built-up or urban environments, the Enterprise is the perfect choice. Driver: This trim level is based on the Enterprise version, and adds automatic windscreen wipers, Magic Wash® and integrated steering wheel controls. Other features include Citroën Connect Nav with an 8-inch touchscreen, Surround Rear Vision, and a six-way adjustable driver seat that has lumbar adjustment and under seat storage. The Driver version is ideal for users who spend a significant amount of time in the vehicle, such as delivery drivers. 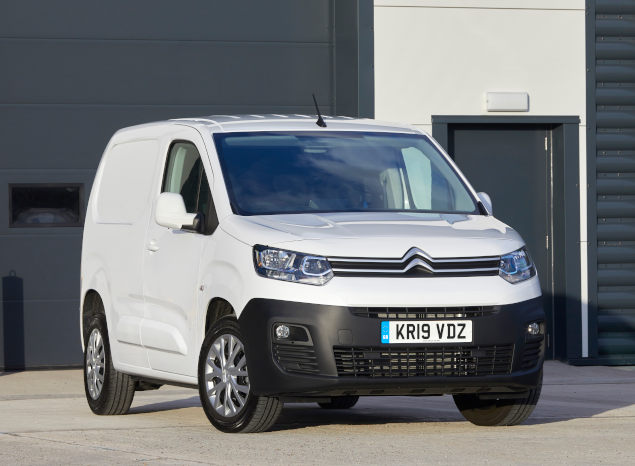 The New Citroën Berlingo Van is available in UK showrooms, priced from £15,825.